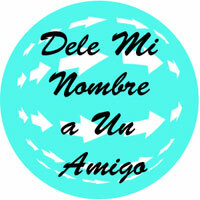 Pass Me on to a Friend (spanish) Stickers. 63 per sheet 1 inch round stickers. Use these to seal bags and much more. Dele Mi Nombre a Un Amigo.